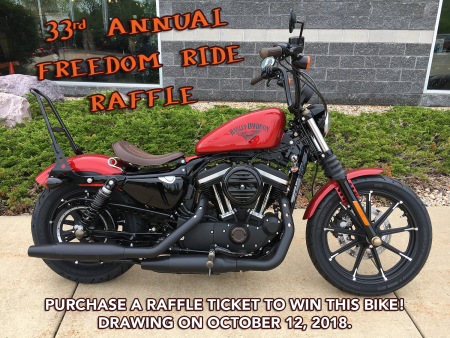 33rd Annual Freedom Ride Raffle to Benefit the Muscular Dystrophy Association of Southern Wisconsin -- Tickets on sale now through October 1st, 2018! Drawing—11am on Friday, October 12, 2018 at Harley-Davidson of Madison. Visit our Drawing Event page for more information!